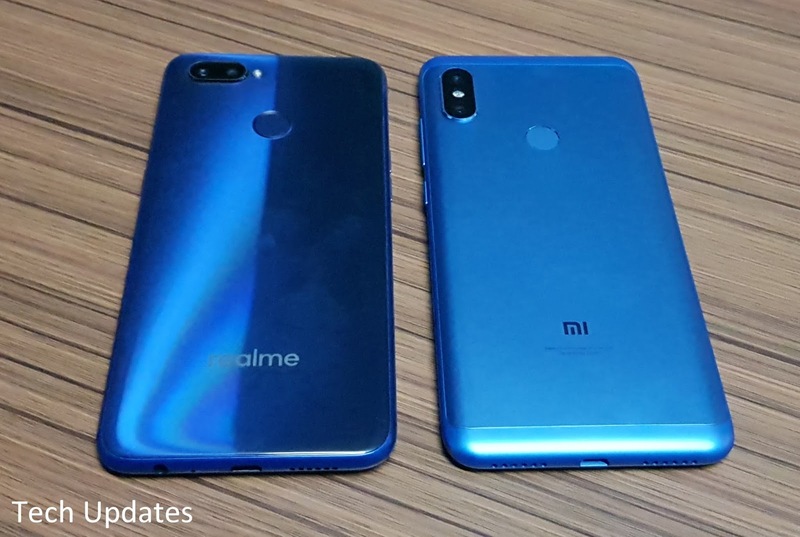 Realme 2 Pro has a Polycarbonate body which looks like Glass whereas Xiaomi Redmi Note 6 Pro has a metal body. 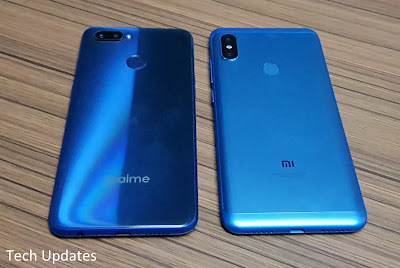 Realme 2 Pro has a Dewdrop 6.3-inch (2340 x 1080 pixels) Full HD+ 19.5:9 aspect ratio display whereas Redmi Note 6 Pro has 6.26-inch (2280×1080 pixels) Full HD+ 19:9 2.5D curved glass display. Realme 2 Pro is powered by 2.0GHz Octa Core Snapdragon 660 14nm Processor with Adreno 512 GPU compared to Octa -Core Snapdragon 636 processor on Redmi Note 6 Pro. Realme 2 Pro has a 4/6/8GB RAM and 64GB/128GB internal Storage whereas Redmi Note 6 Pro comes with 4/6GB RAM and 64GB internal storage. 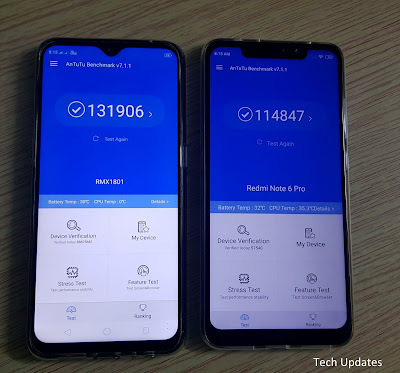 In terms of performance Realme 2 Pro is better. On Camera Realme 2 Pro has a 16MP rear camera with LED flash, f/1.7 aperture, secondary 2MP camera and 16MP front-facing camera whereas Redmi Note 6 Pro comes with 12MP rear camera with dual-tone LED Flash, f/1.9 aperture, 1.4μm pixel size, Dual PD focus, EIS, secondary 5MP camera and 20MP front-facing camera with Sony IMX376 sensor, f/2.0 aperture, secondary 2MP camera both cameras can record 4K Videos and has support for AI portrait mode. Both phones produce good images in daylight, Portrait mode, Low light is better on Redmi Note 6 Pro. Both phones have support for Face Unlock, Fingerprint Scanner, Dual 4G VoLTE. Realme 2 Pro has dedicated MicroSD card compared to Hybrid SIM on Redmi Note 6 Pro. Realme 2 Pro is packed with a 3500mAh battery compared to 4000mAh Battery on Note 6 Pro both phones come with Micro USB Port. Battery life is better on Redmi Note 6 Pro.